Chili is a pretty traditional Halloween dinner, so why not make it even more spooky with a Halloween cookie cutter and some slices of cheese. 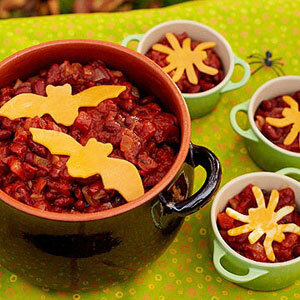 Just one simple addition and you have the perfect Halloween chili. You can check out more Halloween party food ideas at Parents.com to add to the list for next year.